"We have almost doubled the participants for this year's fashion show," Kristina Valdiviezo said. " We have many great sponsors, beautiful models and an amazing fashion lineup! It is going to be a fabulous event." http://www.tubacgolfresort.com The Tubac Golf Resort & Spa is excited to announce the second annual Fashion Show Extravaganza on Saturday, April 14, 2012, starting at 7pm. This year’s show will feature new spring fashions from over 25 merchants in Tubac, Tucson and the Santa Cruz Valley. Makeup and hair design will be provided by The Salon at Tubac Golf Resort & Spa, using exclusive Aveda hair products and GloMinerals makeup. This year’s event will include women’s, men’s and children’s fashions and accessories, spectacular wedding dress designs and golf apparel. After the fashion show there will be a VIP Champagne Party to meet the models, merchant and designers, celebrate the event, take photos and enjoy hors d’ oeuvres and bubbly. Participants and sponsors include Crowe’s Nest, FlorAbundance, Fresh Produce Resort Wear, Gariola Coffee Co., Hem & Her Bridal, Quilt’s Limited, Kory’s Bridal, James Culver, Java Jive, La Cucaracha, Marco Monreal DJ, Mas y Mas, Mariah’s, Milagros Décor, Old Presidio Traders, Prickly Pear Studio, Rockthology, Sole, The Country Shop, Tubac Golf Resort & Spa, Untamed Confections, Vin-T Bikini, Wild Rose and Wisdom’s Cafe. Gift bags will be given to the first 100 guests and door prize winners will be announced during intermission. Last year’s event was sold out, with standing room only. This year the event will be in the Geronimo Ballroom and Patio to accommodate all guests. Tickets may be purchased at the Tubac Golf Resort & Spa or at Wisdom’s Café. General admission tickets are $20. VIP admission, which also includes the Champagne Party, is $35. A portion of the proceeds will benefit Tubac Rotary and Equine Voices Horse Rescue & Sanctuary. 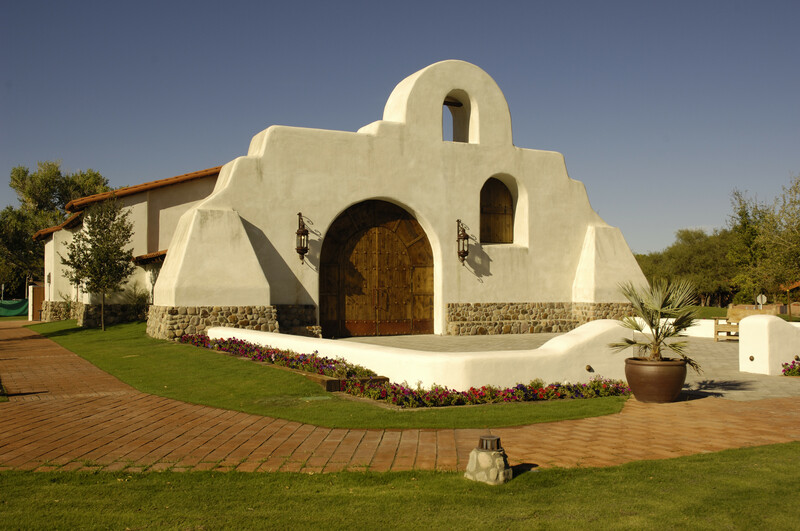 About the Resort: A member of Historic Hotels of America, The Tubac Golf Resort & Spa is located at the foot of the Santa Rita Mountains on the historic 600 acre Otero Ranch. The architecture graciously blends rich details reminiscent of 17th century Mexico and original Hacienda-style ranch decor with 21st century amenities. Set amidst beautifully landscaped grounds, 98-Hacienda Suites, Casita’s and Posada guest rooms surround the pool and mini golf course. Just steps away a beautiful fountain and archway lead to the resort’s central plaza, home of Stables Ranch Grille, the resort’s signature restaurant, Panchos interior design gallery and a beautiful Hacienda-style spa. Lazily wrapping around the resort plaza and accommodations is a world-renowned 27-hole championship golf course, home of the movie ‘Tin Cup’. Just minutes away from the resort is the charming artisan’s village of Tubac, with over 100 eclectic shops and fine art galleries as well as coffee shops, al fresco eateries and Tubac Presidio State Park. 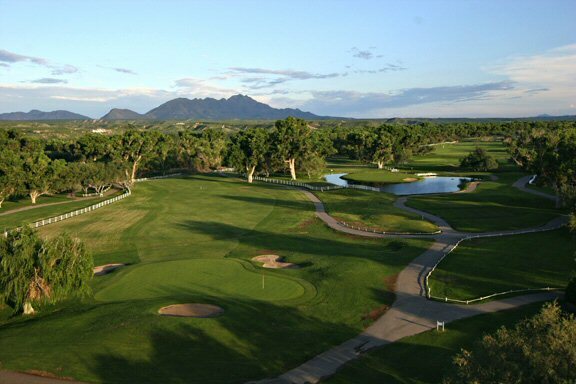 The Tubac Golf Resort & Spa is located at One Otero Road in Tubac, Arizona, 85646. 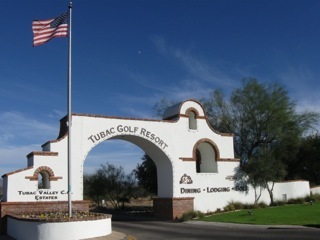 For more information about the resort and its Fashion Show Extravaganza call 520.398.2211 or visit http://www.TubacGolfResort.com.